When thinking about buying your first house, there are many things that you have to think about that can be stress inducing. Things like paperwork and finding the right home come to mind. But at Fairfax Mortgage, we can assure you that we can make the process stress free. With over 30 years of experience, Fairfax Mortgage Investments helps Fredericksburg, VA first time home buyers through the home buying process daily. We give it our all when it comes to our work. You can guarantee that our team will help you get the home you want quickly. Contact us today to get a free consultation! We’ll make sure to be with you every step of the way until you get the home of your dreams. FHA loans were created by the Federal Housing Administration for home buyers. A popular choice, they have smaller down payments and interest rates compared to other loans. FHA loans create opportunities for Fredericksburg, VA first time home buyers to buy the house they want at a low cost. USDA loans are best for Fredericksburg, VA first time home buyers looking for a house in a rural area. Ensured by the US Department of Agriculture, they give no down payment and a low, fixed rate interest to those in need. This allows those buying in the rural area to get the house they want. These loans are ensured by the Department of Veterans Affairs. VA home loans offer no down payments and low interest rates to military personnel and their families. This is perfect for Fredericksburg, VA first time home buyers within the military. FHA Section 203(k) creates ideal situations for Fredericksburg, VA first time home buyers looking to buy a home in need of repairs. They combine the mortgage and the cost for the repairs into one mortgage, effectively saving money. The down payments are low as well, an added bonus to this particular loan. 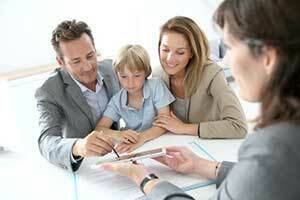 Fairfax Mortgage Investments offers any assistance you need for the Fredericksburg, VA home buying process. We help you decide what grants, programs, and incentives are right for you during the period of time where you’re buying the house. We do everything from credit rescoring and enhancement to program applications, allowing you to worry less. To start of with, you need to calculate how much the house costs, how much its housing costs, and how much does closing cost. Then you make a budget out of that and find a realtor with documents for your first consultation, like pay stubs, bank account statements, W-2s, tax returns over the past two years, statements from current loans and credit lines, and the names and addresses from previous landlords over the past two years. Fairfax Mortgage Investments will take it from there!